I am constantly telling my friends, students and frankly anyone who will listen to experiment with wine. Thirty plus years ago I would not have been so bold, but today the overall quality and diversity of wine available from all around the globe demands that people take a chance and stray from their comfort zone. 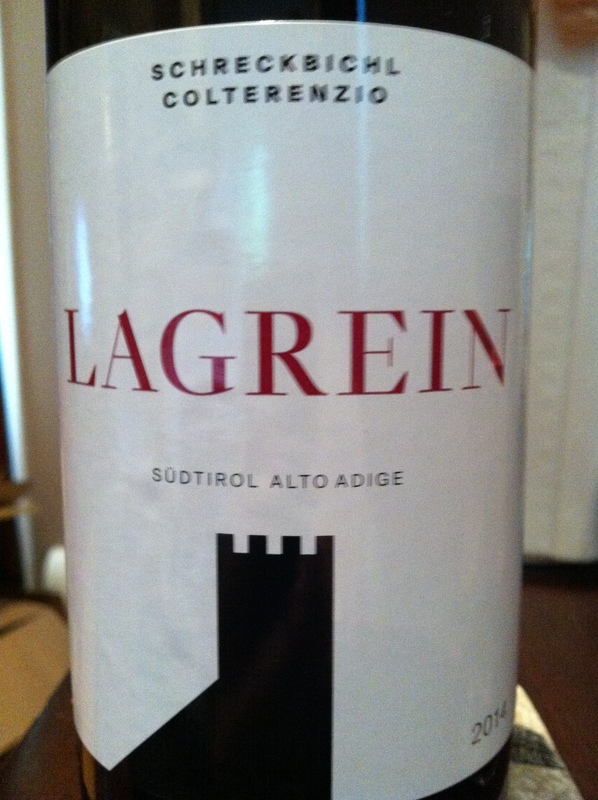 One such wine that deserves attention is the 2014 Lagrein from the Colterenzio Cooperative in Alto Adige, a small region in the northeast corner of Italy. The cooperative was started in 1960 with 28 producers. Over the last 50 years the cooperative has grown to 300 producers and over 300 hectares of land under vine. The wine comes from the southern part of Alto Adige or the Sudtirol, which is home to some of the Alto Adige’s highest vineyards. Warmer than other more northern areas, the sub region’s climate is conducive to ripening red grapes. Along with the mixed soils of limestone, marl, dolomite and sand, the vines produce grapes of exceptional quality and distinction. Lagrein is a red grape variety descended from Teroldego and related to Syrah, Pinot Noir and Dureza. It is believed to be native to the Lagarina Valley in Trentino. For many years the grape produced highly tannic wines that were tough and unapproachable. Modern wine making techniques have transformed the wines made from Lagrein into expressive, voluptuous wines with bright, fragrant personalities. The 2014 Lagrein from Colterenzio is magical. The wine has a lively, fragrant nose with fresh floral notes and hints of herbal sweetness. On the palate the wine is bright and fruity with some dark rose attar and cherry notes. The wine has well-integrated tannin and just enough acid to give it structure. Drinking well, the wine should age well for another 2 to 4 years in the bottle. Another nice feature of the wine is the price. At $13.99 per bottle before any discount, the wine is a great value and perfect for the summer weather! Despite what the statistics suggest, that better than 87% of fine wine made today is meant to be consumed within one to two years of bottling, frequently the stars align to create a wine that really benefits from continued time in the bottle. My students know that I am a huge proponent of aging wine, including those bottles that do not demand to be aged. I espouse the many benefits of this practice: from allowing a wine time to improve; to the educational value of tasting a wine throughout its life and thereby fully understanding the mystery of wine; to the often jaw-dropping impact of pulling an unavailable gem from the dark reaches of one’s cellar to share with the best of friends. In my usual perusal of the various wine shop circulars that arrive in my mailbox, my attention was piqued by an “older” wine – a 2005 Barbera del Monferrato from Cantine Valpane, their Perlydia bottling. Now 2005 isn’t particularly old at 10 years, but Barbera is not known to make long-aging wine. I eyed the tasting note from the store and decided that more research was warranted. 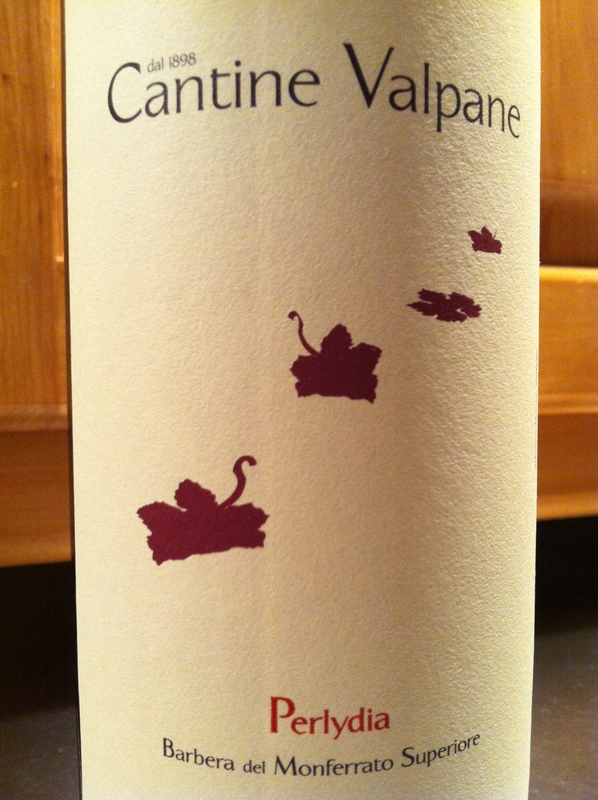 Cantine Valpane is a historic winery located in the Monferrato wine making region of Piedmont in northwest Italy. The winery website states that the present owners, the Arditi family have owned the property for over 100 years and during that time have sought to maintain the highest quality, while creating wines, specifically Barbera-based that exemplify the unique character of the Monferrato region. The Valpane vineyards, unlike those in Alba and Asti, the two bastions of Barbera in Piedmont, are planted in soils heavy in limestone and clay, which imparts an earthy minerality often not found in Barbera. Additionally, the DOC rules for Barbera del Monferrato allow for the inclusion of the Friesa grape to the blend, which contributes lively, fragrant touches to the wine. My own analysis, 10 years after the wine was made? Simply magnificent. The wine is smooth, mellow and possesses layered complexity with soft fruit, fragrant floral and rustic earthy notes. The wine is clearly Barbera in nature, with bright cherry flavors and a slight bite of acid that gives the wine impressive structure. The most impressive thing about the wine… the price… at $17.99 per bottle before a discount, this wine is a steal. Very rarely do you get to possess a wine with 10 years of age that shows improvement and the longevity to continue to improve for this price. Where did I find the wine? At my friends at The Wine & Cheese Cask in Somerville, MA – it’s in their July-August Newsletter! 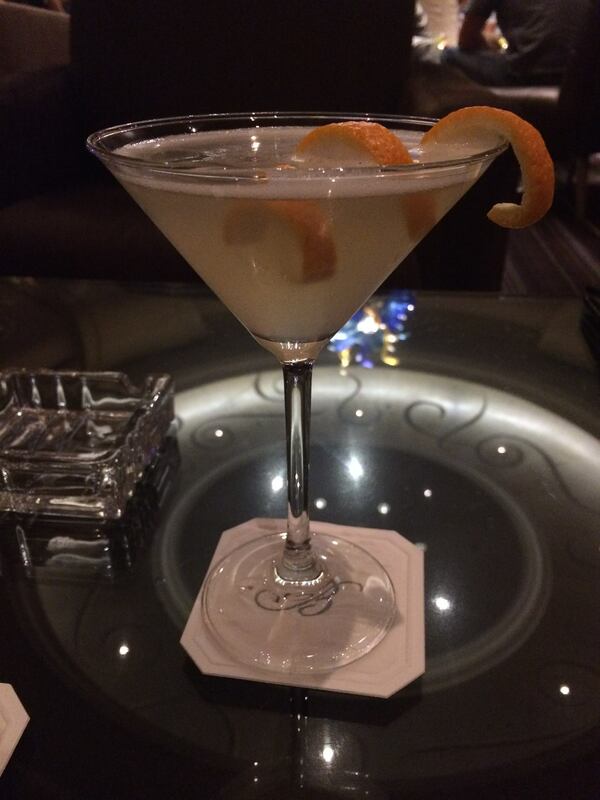 An old friend recently posted a picture of what looked to be a delicious cocktail on Facebook while celebrating in Las Vegas. Upon further inquiry, she divulged that this lovely potation was none other than The Jasmine Cocktail and she proclaimed it wonderful. Not immediately coming to mind, I did some research and found a reference to it in my favorite magazine, Imbibe. Their take is thus: This early 1990’s cocktail from bartender Paul Harrington helped usher in the similarly bright, bitter Negroni riffs that have flowed in recent years. Combine ingredients in a shaker with ice and shake to chill. Strain into a chilled glass and garnish with a lemon twist. Pre-prohibition cocktails all have numerous attributions regarding their origins. 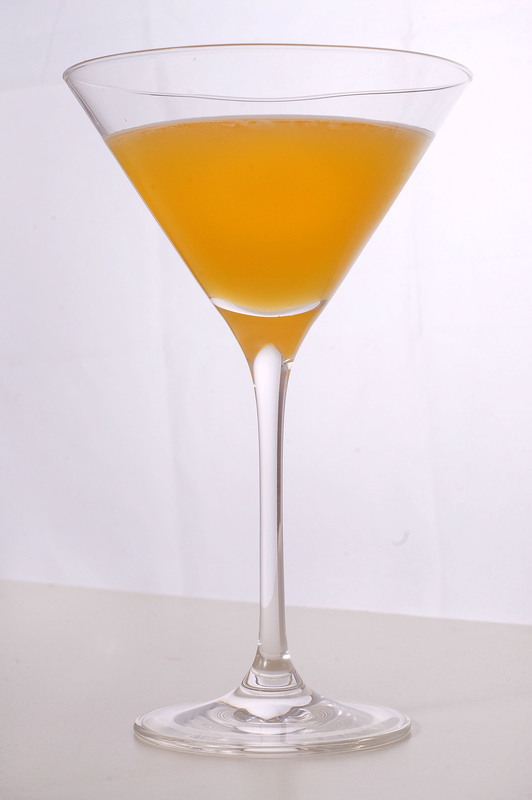 The Bronx Cocktail, a very well-known pre-prohibition libation is no different. 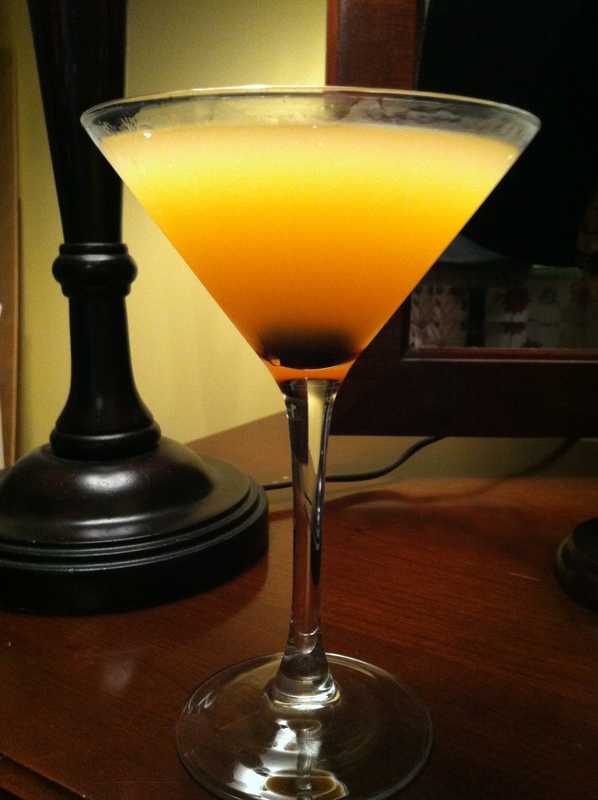 There were no fewer than six possible origins for the cocktail noted in various sources. Combine all ingredients in a mixing glass with cracked ice. Stir and strain into chilled cocktail glass. Believe it or not, I do not keep orange juice around very often. I’m not entirely sure why, but I just don’t. As a result, when we end up with some in the fridge, I usually like to experiment – cocktail-wise. The last time this happened, I played with a few oldies but goodies – the Monkey Gland, Satan’s Whiskers and the Blood and Sand. All quite nice potations that have a Summery splash to them. Add all the ingredients to a shaker and fill with ice. Shake, and strain into a chilled cocktail glass. Garnish.